Cam (played by Taylor Lautner) is a young bicycle messenger has gone through a series of unfortunate circumstances and owed the wrong people money. He is trying desperately to find ways to pay off the debt. Along the way he meets a girl and becomes besotted with Nikki and that changes his plans completely when she introduces him to a world that he didn’t know existed – the world of parkour! He finds she and her street criminal friends and they become his new surrogate family of orphans. Using their skills in parkour, Cam has gotten involved in things which are clearly illegal. Before he realizes about it, he’s in far deeper than he expected. Can Cam Get Out From All His Troubles? 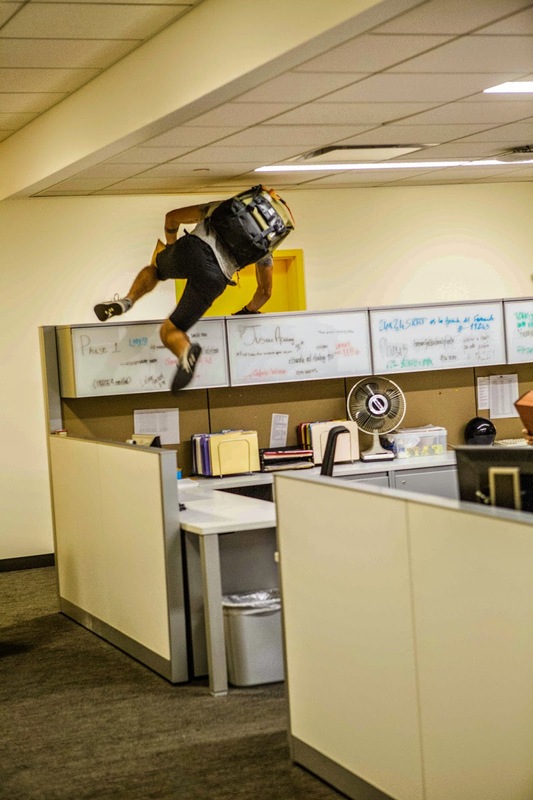 How will parkour be used in Cam’s work? Let’s parkour to your nearest cinema now! 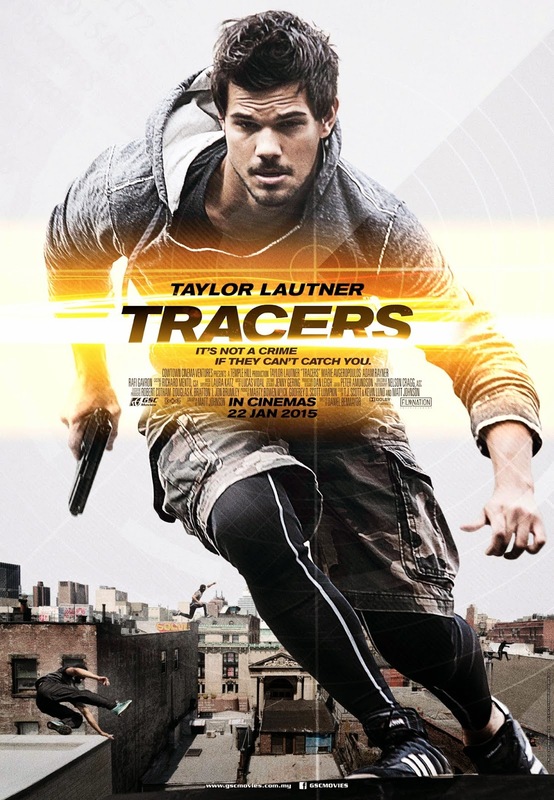 Written and directed by Daniel Benmayor, “Tracers” is a movie that has utilized the culture of parkour and captured all the adrenaline rush moments from free running into a 90 minutes movie. It’s really not an easy job to film all the parkour action. The movie has successfully done so by having a group of casts who can do the stunts and the cameraman who ran along with them in filming these running sequences. It is very cool and refreshing to see parkour being the main theme of a movie! In the aspect of storyline, the movie has a plot which is very straightforward and can be quite plain. Basically, the storyline itself doesn’t offer you much due to its simple script but it is good enough to make you follow the story without much confusion. The pacing is well-balanced as it has parkour and non-parkour scenes interchanging throughout the film. After every exciting moment of jumping over tables, climbing up building and etc, the movie gave the audiences a short break time in between by showing the interactions between characters in relaxed atmosphere. Despite the director trying to provide some character developments during the non-parkour scenes, the lackluster characters failed to leave a deep impression for the audiences to remember. The poor character development doesn’t make you care much for them. The only thing you can remember of them is that they can do cool parkour. Otherwise, you don’t even remember the characters as who they are. Apart from that, the romantic scenes in the movie are actually pretty dull. The lines between Cam and his love interest are downright cheesy. The acting of the casts are acceptable but not spectacular. Some of them have stony expressions while some delivered inappropriate responses in certain scenarios. While I personally felt that Taylor Lautner has his charisma, his acting is not as convincing as his athletic skills in parkour. I truly enjoy his stunts in the movie but I almost dozed off when the movie switch focus to the romantic scenes between him and Marie Avgeropoulos. The soundtrack and background music was okay but I wished there were more epic music being played when the characters were on the run being chased by their enemies. Amazing parkour as the main theme. Athletic casts who can do the parkour themselves. Simple storyline with balanced pacing. Highly recommended to those who love Temple Run, Minion Rush and most importantly, Parkour! If you are someone who are expecting great storyline and marvelous acting, you should go for Birdman or other movies available in the theatre. Those two elements are 404 not found in this movie! 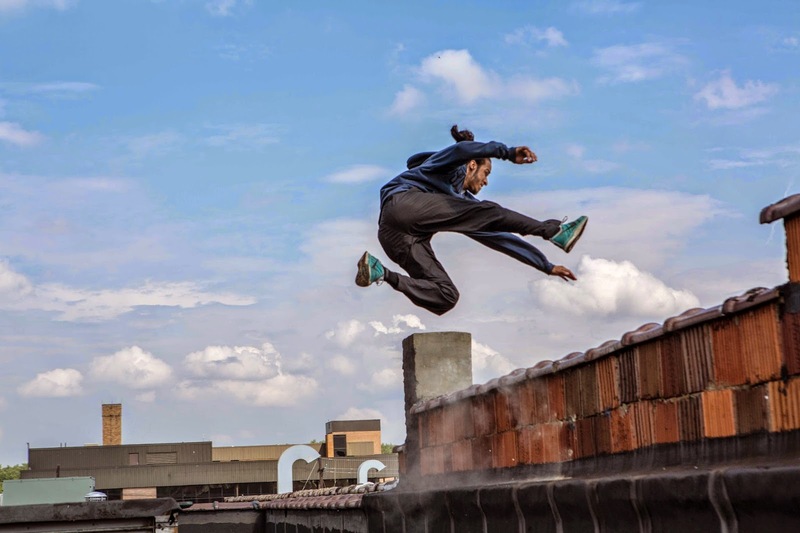 Otherwise, you would definitely enjoy amazing parkour stunts which they have featured in the movie.